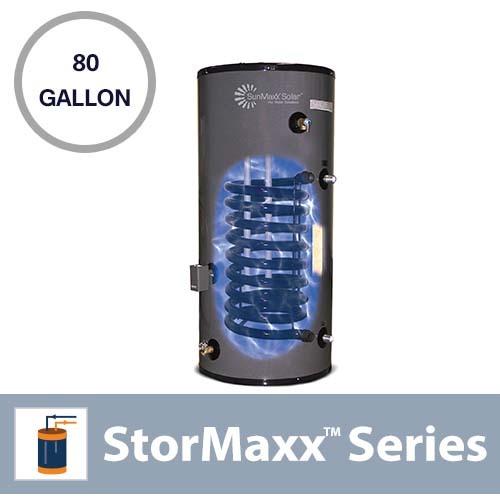 80 gallon StorMaxx SE with single heat exchanger and electric element. SKU: StorMaxx-SE-080-1HX-EE. Category: StorMaxx SE Tanks.